Yoga teacher training can and will change your life, and here's why. Our 200 hour Foundational Teacher Training is just around the corner. Facilitated by Sarah Zandbeek, this course will guide you to transform your practice and deepen your understanding of philosophy and history of yoga. Moreover, this course is an invitation to self: self love, self knowledge, self illumination. The following post is from your teacher, Sarah. For full details on this offering, head here! Here's 11 reasons to dive in deep with a yoga teacher training. 2) Space Holding: Ever feel like no one ever really quite listens to what you are saying? Their physical ear is there, but they’re not hearing the words or the frequency beneath the words? Well, Yoga Training, helps you to not be that friend. As Teachers, we become guiders in Life, whether we chose that or not. When we begin to look at our lives with a higher resolution microscope, we learn things about life and the way it works and in that, we gain empathy, understanding, and compassion. So, when friends and family come to you, you can actually listen with a tuned in ear to the pains they are speaking of without needing to try and push it away with statements like, “it’s going to be all good, he is a jerk any ways, or you’re going to be fine.” Being able to listen is one of the greatest gifts you can give yourself, your community and humanity. 3) To Live: Yoga training helps you to understand life. In this you gain the courage to really start living it – outside the bounds of who and what someone told you you were suppose to be/do. When we start to observe what the body is experiencing, it becomes a beautiful guide that moves you towards your authentic truth. When we are in line with truth, ease arises, and the dance of life begins underneath our feet. 4) Freedom: I bet you often hear a calling for something more and you have been ignoring it for a while. There is something deep within you that is getting louder and louder, asking you to listen; the Soul’s cry for freedom. Answer that call. The time for change is NOW. 5) Strength and SURRENDER: Learning the pulsation of life can help you move through the tough times with more grace. Unfortunately (fortunately), tough times are an essential part of life and learning; imagine learning from the rough patches in a much less stressful and tumultuous way. Not everything needs to be dealt with head on: yoga can teach us to surrender to that which we can not change and to look a little deeper in order to see the truth of the matter, which is always humbling and filled with powerful teachings. 6) Re-Inhabit Intuition: Living in a society that is mostly based on lies, we have grown to stop trusting our intuition – that which guides us to who we are and our highest purpose. This can lead us to wondering, “what am I doing, what is the point?” Not knowing your purpose can make it really hard to wake up each day, moving through the motions that aren’t moving you. Yoga training helps build Self-trust and confidence to stand up for what you are feeling. It offers a space for others to drop their lies and start moving toward speaking truth and having the strength to say the hardest of things. Moving lies out of the body makes space for deeper movements and more profound moments in life. Life becomes much more juicy! 7) Dissolve Suffering: Suffering exists due to undigested emotional experiences, which tend to inhabit the tissues of the body in the strangest ways. As we practice asana, engage in breath work, and meditate, these stagnancies begin to move. This brings emotions to the forefront, giving us a chance to dissolve past happenings and release them from there grip on our day to day perspective of life. 8) Threshold meets Change: Often, when we reach the edge of something, there is that friction has built and it’s hot, frustrating, and it feels like it might collapse us. We turn around and go back to what we already know and that courageous part of us turtles once again – the cycle ensues. What if we learned to meet these thresholds and had skills to yield through them? We may start to desire these times of great change instead of fear them. Grace may begin to exist as a consistency in our personality. 9) Authentic Self: Who are you? Be that. Scary? Maybe. Impelling? Most definitely. Yoga training can help you begin to move through life guided by what really serves you in all senses: food, relationships, work, and love life. Live in complete accordance to that which you were designed for. 11) Life becomes an Offering: Empathy. Through working on your Self, the vastness of what makes you begins to reveal itself. Within that, we start to see that we are all things: crazy, wild, kind, and free. It is only through allowing yourself to experience all of Life’s emotions, that you begin to make space for the uncalculated pathway of others. Each life, each soul is having a different experience than you and your way and learnings may not be their way. Once this is realized, there is space for you to not attach to their experience but rather joyously (and sometimes frustrating) observe them as they unfurl, at their own special pace, way, and time. Not to be corrected or fixed, only loved through the process. The Ultimate offering. Festival Season Kicks Off With A Pre-Stretch! Once Summer hits, there is no lack of amazing events around our city and beyond! Music festivals are growing beyond just music and there is an integration and overlap into many other offerings. Yoga has become a huge part of the festival community, and every year you can find a few Yogalife Studios instructors heading up workshops and related local events. Astral Harvest is a celebration of music, art, knowledge, community and the human experience. We are just under a month away from Astral Harvest Music and Arts Festival, a 4-day gathering in Driftpile, Alberta that boasts international musical acts, yoga and movement workshops, art, seminars and beyond. This family friendly event is in its 9th season, running from June 30 - July 3. The Astral Harvest crew hosts an assortment of pre-festival events throughout the summer; this year you can find a "Pre-Stretch" series added to that line-up! 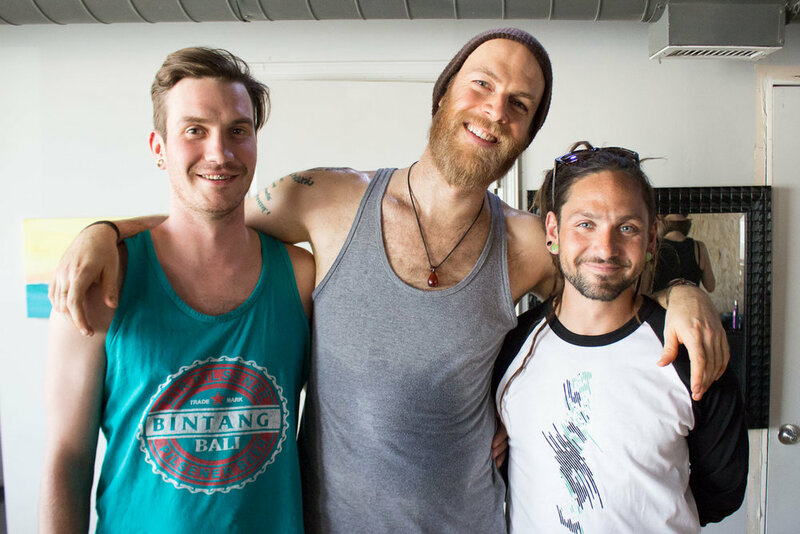 "Astral Harvest offers so much more than music - yoga is such a big part of the festival and our community. This year we wanted to showcase this in our pre-festival series to give that part of the festival the same exposure." With over 100 different "Experience" workshops, ranging from Crochet 101 to Psychedelic Light Meditation, Astral Harvest really has something for everyone. Peruse the full line-up of unique offerings here! The next event in the pre-festival series is coming up this Friday, June 10 with Caitlin Varrin and Jen Maio at Be Hot Yoga Wellness. The evening kicks off at 7pm with practice casually commencing around 7:20. Expect a live DJ, snacks and treats and the chance to win a weekend pass to Astral Harvest! Astral Harvest Music and Arts Festival 2016 ticket winner! This workshop is an opportunity to learn how to employ laughter the same way we employ breath in a yoga practice: to enliven, to harmonize, to clarify. Through interactive laughter exercises, we can play off of one another to unearth a plethora of benefits. Laughter sends strong signals of well-being throughout the body & mind, nurturing our respiratory, immune & endocrine systems, to name but a few. Join Myrah & Robindra for an immersive journey through Kundalini & Sattva Yoga set to the sounds of a Global Journey of Deep House, Tribal and Bedoiun sounds taking you from Alberta to the moon, India and back. The experience will begin with talks by Myrah & Robindra about aligning your life to the source of your joy. We talk about alignment in the physical practises of yoga for a reason. The body, breath and mind share the same space and when we learn to use the concept of alignment in all areas of our lives we will find ourselves awakening to the life of our dreams much faster than any 5 or 10 year plan you might have. We will explore the astrology of the time/day that this experience begins together, we will practise activating kundalini yoga kriyas, we will DANCE like no one is watching and we will end the class with a grounding & deeply healing Gong Meditation. Summer pass now on sale. All passes expire September 30th, 2016. No exceptions. Summer 15 Class Passes are not eligible for refund, credit, transfer, hold or extension. Limited time offer. Available for purchase until June 15th. You snooze you lose. Don't miss out! Yoga is an inward journey for all of us so allow yourself the time and space to develop your own personal practice. You can sign up at the studio. Find the board and put your name on it. Start counting on July 1st. Yogalife Studios is known for offering you yoga (makes sense, we ARE a yoga studio! ), but we believe that yoga is one fraction of a balanced, healthy lifestyle. We want to share more than asana, pranayama and meditation with you; we want to give you the tools to create the healthiest, happiest life! In an effort to keep you connected, we're teaming up with Bianca Osborne of Vitality Kitchen to bring you a series of hour-long workshops to inform and enlighten. We want to help you create a lifestyle that suits YOU. Space is limited so be sure to pre-register HERE! One of the biggest health concerns affecting people is digestive distress from bloating, gas, indigestion, constipation, diarrhea and more. 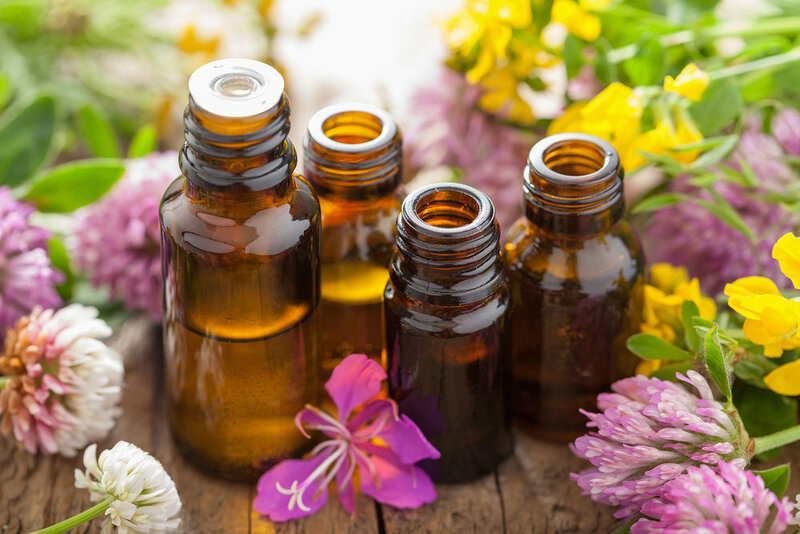 As essential oils and their benefits have grown in popularity, it’s time to to harness their healing benefits for your gut and promote abundant digestive health. This workshop we will cover the top essential oils for healthy digestion and how to use them safely. I started using essential oils as a way to to make my home smell good without the use of chemicals often found in candles and air fresheners, which kickstarted my adventurous discovery into the best essential oils. Certified, pure, unadulterated and sensibly sourced reinforces that these really are the best essential oils and they have changed my life. I use them in cooking, in my home and as a part of my wellness routine- these AMAZING essential oils are life changing. How to use essential oils to support immunity all year round. Learn how to calm the body and renew the nervous system with essential oils. Learn how to support the detoxification process naturally with essential oils. Com·mu·ni·ty /kəˈmyo͞onədē/ A feeling of fellowship with others, as a result of sharing common attitudes, interests, and goals. Yogalife community, meet Keiran. Kieran is fourteen years old and loves to dance. He started taking ballet when he was four years old in Vancouver. He danced for several years there and then took a few years off after becoming self-conscious of the fact that he was the only boy in class. He started again three years ago and is now working towards his dream of becoming a professional dancer. Currently, he spends about 20 hours a week training in studios, at home, as well as performing on stage. Kieran started coming to Yogalife last February and absolutely loves it! He can be found in class in positions that show his flexibility and strength, alongside his mother. Kieran enjoys adding yoga to his dance practice to enhance his breathing, and add calmness to his very busy schedule. He recently auditioned for the Alberta Ballet’s summer school intensive, which is held in Calgary in July for three weeks. He was not only accepted, but also awarded a full scholarship for the tuition! Unfortunately, he still is required to come up with residence fees, which are over $2000. The opportunity to participate in the summer program means the possibility of acceptance into the full-time professional program, which would give him the training he needs for attaining a career in dance. Join Melissa Perret for a karma class at Yogalife Studios North on March 5 at 3:00pm. Melissa is leading a vinyasa-style flow class with all the proceeds going towards Keiran's dream. Many cultures recognize the importance of music and sound as healing power. In the ancient civilizations of India, the Orient, Africa, Europe, and Native Americans, the practice of using sound to heal and achieve balance from within has existed for years. The Tibetans use bells, chimes, bowls and chanting as the foundation for their spiritual practice. In Bali, Indonesia, the echoing, gamelong, gong and drum are used in ceremonies to uplift and send messages. The Australian aboriginals and native shamanists use vocal toning and repetitive sound vibration with instruments created from nature in sacred ceremony to adjust any imbalance of spirit. We are excited to bring this healing practice to Yogalife Studios this holiday season with a New Year Tibetan Singing Bowl Meditation with Neil Haggard. Celebrate the New Year with an Asana and guided Meditation practice to reflect on the important things in life. Wellness. Peace. Health. Family. Renewal. Movement. Focus. When we hear inspiring stories and take time to reflect on what is important in our lives, taking stock, we can see our lives in new ways, focus on what is great about life! Taking some time to relax, listen to our hearts, move the body, calm the busy mind, restore the senses and learn to breathe - a sure way to being healthy and a great practice to take into the year to come. Walk away with a renewed sense of well being and deep commitment to the important things in our lives! Click here to register! Check out our Twelve Days of Christmas Sale! We are excited to announce that we will be having some awesome sales at both our south and north locations to celebrate the holidays! We will be having a 12 Days of Christmas sale from the 12th - 24th of December. Enjoy 15% off all of our mat and towels as well as any other awesome regular priced items in our boutique and 30% off all of our apparel! Spoil your loved ones with some great yoga gear this year. This month we're featuring local apothecary and potion professional Pura Botanicals. This green beauty apothecary & natural perfumery boasts a collection of non-toxic, vegan, and eco-friendly skincare and wellness potions centred around the ancient art of the beauty ritual. Pura Botanicals is incredibly conscious; check out their amazing ambassador tribe (which includes the lovely Myrah Penaloza!) and learn about why the founder, Lane, was destined to create this company. "From an early age, I was fascinated with making potions on a little step at the side of our home. I spent hours concocting healing tinctures for my mother, whom was kind enough to test almost anything I snuck into our home. It was my love for nature and probably her nurturing instinct that guided me down the path to becoming a green beauty skincare alchemist and perfumer." Pura Botanicals' collection encompasses skin care, body care, aromatic elixirs and yoga potions. Only the finest, skin-friendly ingredients go into these products, with the intention of unveiling and celebrating natural beauty. At the heart of this process is finding the luxury in nurturing yourself, the planet, and the community. Pura creates with mindfulness and consistency. Another interesting niche of this company is the Bespoke Perfume program. Pura's extensive library of essential oils offers something for everyone and the intimate process of selecting the right combination for you is truly unique. They conduct an in-depth scent analysis to ensure the most authentic inspiration is arrived at. "My first memory of perfume comes from my childhood. At night, on the occasion that my mother would go out, she would mist her heart centre and pulse points with her special perfume, and then kiss me goodnight before leaving. Up close, her soft, moist skin and signature scent would enrapture me with her elegance and beauty. Now as a woman and mother, I wear her favorite perfume to remember her by... to savour those bedtime kisses again and again. That's the power of perfume. It can be something dabbed on for an evening outing, never to be repeated again, or it can be an unfading part of one’s identity, recalled decades later with bracing clarity & awe." We are stocked with our favourites at both studios. Come try a sample and see why we fell in love! To learn more about this amazing company in our community, head to www.purabotanicals.com. The lovely images featured on this blog were provided by Jenn Crebas Photography. Check out more of her work at www.jenncrebasphotography.wordpress.com, and find her on Facebook and Instagram! Finding the tools that work for you to manage and overcome anxiety. Yoga is a practice of many things: self-love, awareness, quiet, patience, balance. 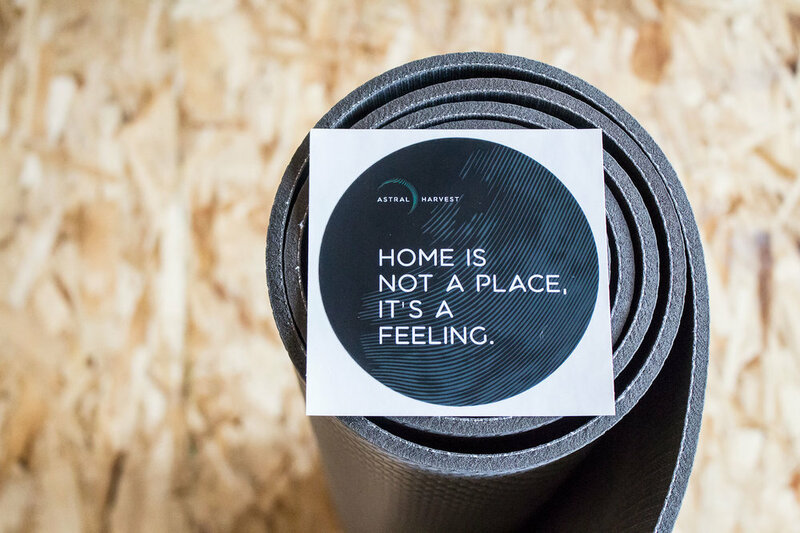 We often refer to our mats as a sanctuary where we can escape into peace. For some of us, this may be the only place we feel this relief. Yoga aims to teach us to live our practice off the mat and into the world, but the power of anxiety and stress can overshadow the positive qualities of our practice in our day-to-day lives. Anxiety disorder (and the stuff that comes along with it) is very real for many people - around 12% of Canadians to be exact! This goes beyond pre-exam nerves or date jitters; this form of stress can be debilitating. Being a human is a work in progress and our yoga practice is just that, a PRACTICE! (not a perfect). Sri Swami reminds us “practice becomes firmly grounded when well attended to for a long time, without break and in all earnestness” in The Yoga Sutras of Patanjali. In other words, keep at it. Sometimes we just need the tools, and then to be reminded of them. Anxiety has been a prevalent topic on our blog because it is a very real issue. We believe in the commitment to self through the regular practice of self-love, meditation, asana, pranayama, and whatever else works in YOUR toolbox of life. Above all, it's important to talk about it. If you're feeling alone, know that you don't have to be. "The thing that kept me coming back [to my mat] was the knowledge that there was a quiet place within that offered a sensation of control and self-patience I had never quite been able to harness. I guess you could simply say it offered me SOURCE. I found that even when I was off my mat I could slip into this place and enjoy my inner sanctuary. As yoga has become a huge part of my life, it is most certainly a deeply-rooted impulse to honour why I’m here. I absolutely fall off course, have the occasional panic attack and most certainly have bad days, but I know deep down that the place I first fell in love with – that sanctuary in my heart – exists." If this is something you would life to learn more about join us December 5th for an in-depth offering, Yoga for Anxiety, Fear and Stress Relief with Michelle Chung. This workshop is specifically designed to help those that suffer from anxiety and stress. Using LifeForce Yoga ® principles and techniques, you will learn to move into more balanced (sattvic) state and move towards positive emotional, mental, physical state of equanimity and self-awareness. You will learn yoga practices that calm feelings of anxiety, which includes asana (postures), pranayama (breathing techniques), relaxation (yoga nidra), yoga chakra sounds and mantras. No previous yoga experience necessary. LifeForce Yoga is a practice of compassion that creates a big enough container to embrace and accept all the dualities of mood. Created by Jill Miller, Yoga Tune Up is a head-to-toe health and fitness system combining yoga, calisthenics, body therapy and corrective exercises in a way that heals damaged muscle tissue, increases overall strength, and bolsters the immune system. Its restorative techniques create balance and flexibility in the body, while relieving painful injuries, improving coordination, and reducing stress. Yoga Tune Up brings a practical yoga philosophy into the nuts and bolts of healthy movement, challenging the body from every conceivable angle until breakthroughs occur – literally changing the nature of the tissues in the area being addressed. Yoga Tune Up is built around the three P's – Pain, Posture and Performance. It helps eradicate pain, improve posture and enhance performance by helping to identify and target your "body blind spots"; areas that are most overused, underused, or misused, YTU heals damaged muscle, increases strength and establishes healthy movement patterns to help you live better in your body. 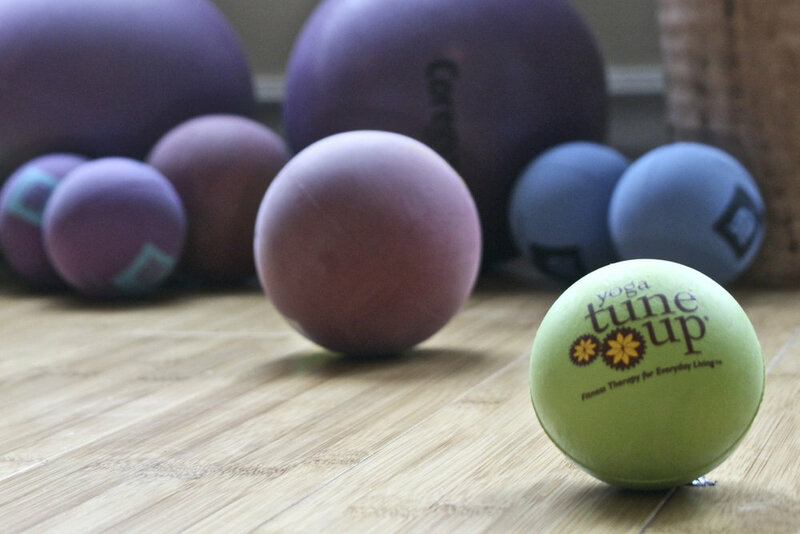 Yoga Tune Up Balls provide targeted self-massage trigger point therapy by using specially designed high grip rubber balls and focused movement routines that help penetrate through layers of skin and muscle to massage deeply into your high tension areas. The following is a guest post from Yogalife instructor Gabi Weaver. Gabi brings a special element to our team with her experience in Therapeutic Yoga and her involvement with helping at-risk groups begin to stabilize and heal. Gabi is excited to share a special 3-hour workshop with the community October 31 at Yogalife Studios North. My name is Gabriela Weaver, RYT, RHN, YoR. I am a practicing Yoga therapist. I have used Yoga’s many tools to heal and support others with anxiety and depression, alcohol and drug addiction, eating disorders and PTSD. I have worked with people who have cancer, fibromyalgia, HIV, high blood pressure, multiple sclerosis and neurological and neuromuscular diseases. I have used Yoga countless times to support and strengthen thousands of practitioners, and lead them back to better lives, happier lives, with better health, and a new vitality for living that is so exciting and wonderful to see. I’m going to ask you to think of yoga as medicine - a concept which may be new to you. You have probably seen many pictures of yoga practitioners in very advanced postures and have heard about the sauna-like conditions that accompany many modern yoga practices. This has convinced many people that yoga isn’t something that could possibly be for them. But take a closer look; you will find yoga being used in ways you may have never thought of before. Yoga is now being used in many capacities to heal both body and mind. Yoga may be the most powerful overall system for healing ever discovered. The relief of suffering has been the central aim of yoga for thousands of years. Part of the reason that yoga is so effective is that it aims to heal the mind, body and spirit together. Yoga not only addresses the symptoms of PTSD, but has the tools to do it. A number of yoga practices, starting with simple breathing exercises that almost anyone can do, can reliably shift the body from the flight-or-fight response to relaxation (Colonel David Grossman -Tactical Breathing author of ‘On Combat’). It is even possible, using yogic tools, to shift your mind and body into a relaxed state when you are experiencing PTSD symptoms. Keep in mind though, that while powerful, yoga isn’t a quick fix. Yoga becomes more and more effective over weeks, months, and years of practice. Therapeutic yoga awakens in you the ability to heal yourself. Therapeutic yoga is supported by psychology and neuroscience. It is brought to life by my students who share their stories of struggle and healing. By connecting with your mind and body, you’ll gain a glimpse of what lies beyond the emotional pain of PTSD, trauma, and heightened states of anxiety. Yoga opens a window to a new world. This includes a connection to a deeper part of you that lives within and also transcends your mind and body: your spirit or vital essence. The Yogalife App Is LIVE! We like to consider ourselves somewhat tech-savvy and are always looking for ways to make your lives a bit easier. Behold, the newest edition to the Yogalife Studios collection of things digital: our very own app! APP /ap/ noun a self-contained program or piece of software designed to fulfill a particular purpose; an application, especially as downloaded by a user to a mobile device. Now you can book your classes, find out who's teaching, learn about new workshops and all things related to the studio from anywhere. The third annual Bloom is right around the corner and for the YEG yogi community this is like Christmas (plus there really is something for everyone at Bloom)! Yogalife Studios is so thrilled to be on the supporting team for this amazing event again this year and we simply can't wait to experience Bloom 2015's offerings. The line-up this year is incredible: music, yoga, knowledge, inspiration. Keynote speaker Marianne Williamson is a pioneer of a worldwide spiritual movement. She has written four #1 New York Times Best Sellers and her teachings have influenced millions around the world to lead happier and more fulfilled lives. In 2014, Marianne ran for US Congress in an attempt to start a bold new conversation in politics. She is the founder of Project Angel Food that serves over 1,000 meals per day for people suffering with AIDS in Los Angeles. Marianne co-founded the Peace Alliance and sits on the board of RESULTS that works to end hunger and poverty throughout the world. Marianne offers a free weekly talk via live stream on her website! The concert series showcases some of the world's finest, most inspiring artists. If you were a part of Bloom 2.0 you know how fun this portion of the weekend is. This year Bloom has invited back favourites DJ Drez, Marti Nikko, and Sheela Bringi for musical stylings and workshop offerings. New to the bill this year is Grammy-nominated musician Jai Uttal. He'll be sharing a concert and workshop: Awakening Bhakti on Saturday and a workshop talk on the Ramayana on Sunday. Jai Uttal is a pioneer in the world music community. His eclectic east meets-west sound has put his music at the forefront of the world fusion movement; his musical roots embrace a rich variety of cultures and traditions that span the globe and the centuries. From the hillbilly music of the Appalachian Mountains to the passionate strains of Bengali street singers, from the haunting rhythms and melodies of ancient India to contemporary electric rock sounds, Jai’s music distills the essence of diverse musical forms. Explore the full musical line-up here! Be sure to say hi at our Yogalife Studios homebase in the marketplace! Grab your tickets to Bloom 2015 HERE. Kristin Fraser with Inner Glow Nutrition has been guest-posting with us since March of last year. Her mantra around food is simple: "At Inner Glow Nutrition we believe that health is not only about food, but about feeling good mentally, physically and emotionally." 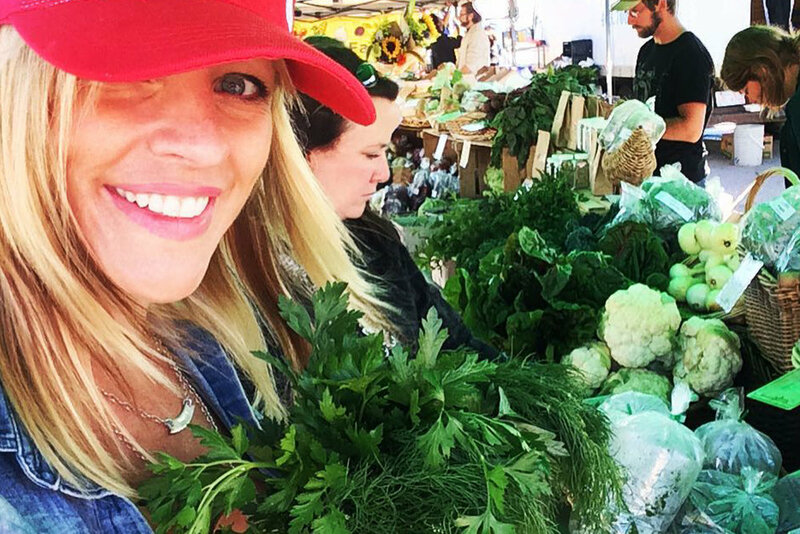 A staple in the raw food catering and nutrition scene, Kristin has delivered hundreds of amazing meals, workshops, and recipes to our community and many. Now it's time for her to embark on the next leg of life's adventure as she sets off in just a few short weeks to Dubai! I'm officially MOVING TO DUBAI my friends! Selling all and starting new ...continuing to do all that I love in a bigger way. I've worked on a raw menu design for a Cold Pressed Juice Company over there and will be setting up their new raw kitchen, doing events, speaking, workshops, retreats and corporate wellness too....working with an incredible team. (I'll update you with more info soon!) ... Feeling super grateful to my mentors, family, friends, old and new, clients and my love who keep believing in me, and supporting these crazy ventures that make me feel like the luckiest girl alive. We are thrilled that Kristin will still be offering guest posts and recipes from afar, so stay tuned to see what she dishes out next! From everyone in the YEG community and all the Yogalifers, best of luck Kristin! The world is about to get a lot tastier! Yogalife Studios is thrilled to welcome Nico Luce to our South home for a two-part workshop. Nico has been practicing and teaching yoga for over a decade and has trained in various lineages such as Power Vinyasa, Ashtanga, Anusara, Yin and Pilates. He is also a devoted student of Eastern philosophy and spirituality which he weaves into the physical practice to create a profound transformational experience. Bringing meaning to the practice and attention to refined bio-mechanics are at the heart of his teachings. Nico and his family live in Switzerland from where he travels internationally teaching workshops, retreats and teacher trainings. Nico also regularly produces instructional videos for GAIAM TV/My Yoga. Join Nico for a two-part Vinyasa style workshop focused on balanced actions and energy efficiency to help you become present in your body and feel intensely alive in the present time. While attempting intermediate level poses for the sheer joy of it, we’ll pay close attention to proper core integration and smooth transitions. There will be a partner work component that will help you gain bio-mechanical knowledge while supporting someone else to go above and beyond. These workshops are open to all levels and poses will be taught in stages to accommodate all practitioners. 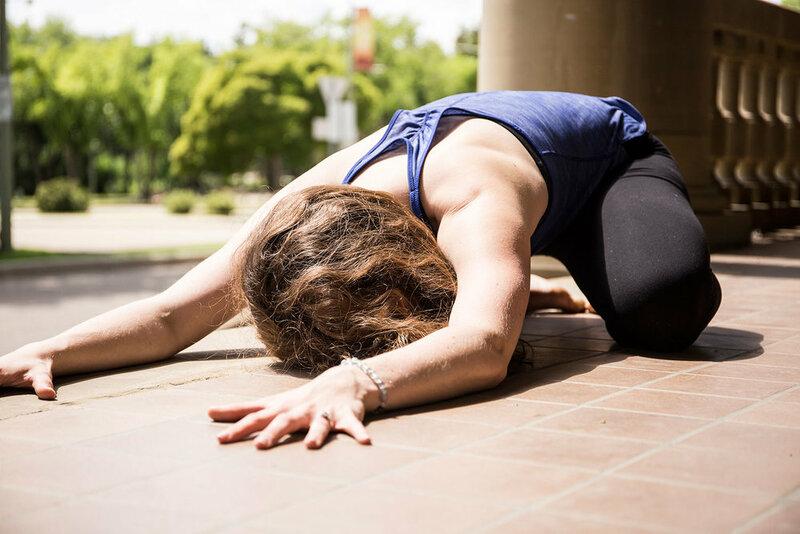 First class: “Here is your body” In this spine stability workshop you’ll learn how to make the most with what you’ve got to experience a radical expansion. Safe and sound instruction will be provided to use heart-opening poses to conquer fear and strengthen your determination. Second class: “Now is your time” Do you want to learn the tricks to balancing on your hands? This workshop was designed for those looking to master arm balances and inversions - whether or not you can do them yet. Our core is the key that unlocks the gateway to these exciting poses. Come explore different techniques to access your core and deeply integrate your entire being. The result will be a feeling of suppleness, strength, lightness and power that you can bring into your daily life. Yogalife Studios and Breathe In Life travel/adventure/yoga/all-around amazing company are teaming up to bring you a special offering in a beautiful corner of the world. The following is a feature on Playa Escameca, the breathtaking area of Nicaragua that Yogalifers Caitlin Varrin and Graham Parsons are taking yogis to get a little more smitten with life. You can find more destination features on the Breathe In Life blog, alongside tons of cool yogi/yoga features, recipes, festival reviews and more. In the deep south of Nicaragua, just a stone’s throw from Costa Rica, there is a special beach you can only hope to stumble upon while traveling – Playa Escameca. Arguably one of the nicest beaches in Central America, you won’t find Playa Escameca in any travel books and that’s because this spot is unique. This incredible stretch of beach presently only has 1 eco-resort where we will be staying named ‘Costa Dulce’ which means ‘Fresh Coast’. It boasts not only gorgeous scenery but some seriously gnarly surfing conditions that you can enjoy all to yourself. You are about as far away from honking horns, pesky sales people, crowded waves and booming late-night parties as you can get. That’s why Free & Easy Traveler (Breathe in Life’s sister company) jumped all over the opportunity to start building our own little sanctuary for the travellers we know are out there looking for something peaceful and off-the-beaten-path. Many of you actually may have seen it before and not known it; Playa Escameca was the setting for the TV show Survivor Nicaragua! You know this show always finds the most beautiful, remote paradise locations so this says a lot about this special spot. At the beach-house we stay in you will experience resort living in an ecological reserve teeming with wildlife and natural beauty. This private villa has been custom designed using green building concepts, native hardwoods and stones. High ceilings and large overhangs provide shade from sun and rain showers. Boundaries between indoors and outdoors blur when sliding walls open kitchen and bedrooms to large decks overlooking the beach. The yoga studio has a stunning view as soothing sounds of jungle and ocean intermingle. Monkeys sometimes even make an appearance at our sessions! 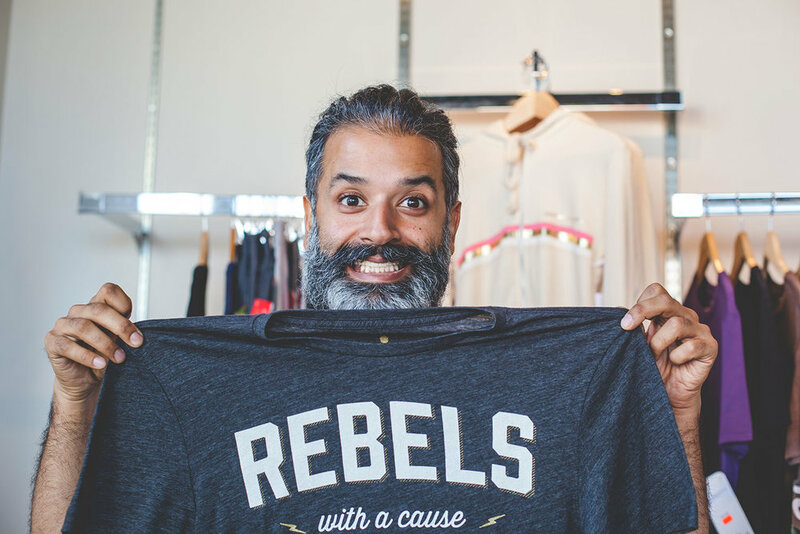 We can't wait to practice with you, laugh & co-create with you, root down & uplift with you. Come partake of something special, and re-acquaint yourself with the wonder that's always quietly humming in the world around us. All we need to do is listen. And get smitten. SMITTEN WITH LIFE with Graham Parsons and Caitlin Varrin November 13th – November 23rd, 2015 Playa Escameca, Nicaragua Click here for more information on this retreat! From Baggage to Blessings with Waymatea Ellis Yogalife Studios North Saturday, September 12 || 2:30-5:30pm register now! This three hour workshop, facilitated by Waymatea Ellis, helps women see how their path has revealed their strength, to witness the sacredness of their story, and to find a deep sense of ownership of their unique gifts. Come and claim your gifts. A minister, intuitive and spirit healer, Waymatea Ellis is a student for life. A former school-teacher, current Massage Therapist, Reiki Practitioner, and Shamanic Practitioner, she offers in-person and online healings, intuitive readings, and retreats. Way is the ‘mother’ of Souljah Fyah, a JUNO-nominated and multi-award winning Reggae band, a project for which she channels the message of love and healing for all beings. She is also the recipient of several teaching awards, including being named Global TV’s Woman of Vision, and the University of Alberta’s Alumni Award of Excellence for inspiring her students through music and teaching. This workshop is based on one big, important, and profound idea that changed my life forever . . .
You don’t need to let go of your baggage from the past because your most painful experiences are actually the ticket to your awakening. Have you ever wondered what it would be like to totally embrace your past without feeling the need to apologize for it? Have you ever craved the total acceptance and freedom that could come with being in alignment with everything you have been through - with no shame? It is not that easy to set down your past. I know this, because I spent so many years of my life trying to. I meditated, vision boarded, yoga’d, positive aspected… I did all of the right things to see the bright side of life .. and yet I kept reliving a debilitating pattern of self sabotage, depression, dysfunctional relationships -- the whole nine. Until - I realized through my relentless seeking for relief and joy - that my biggest blessings lay not in setting the baggage down and moving on - but in setting down the bags, looking inside, and finding gifts that were unique to me. There they were - Divine gifts and blessings that I had earned through my painful past. It was almost magical to see that I had endured so much - only to recognize that it was an initiation into a life that would be spent helping others who had gone through similar trauma and pain. I have made in my journey from clinical depression and complex, severe PTSD, to totally owning my whole story, witnessing my own gifts, and shining from my heart into the world. I hope you will join me in this conversation about seeing your most painful baggage as deepest blessings. Yoga is for everyone, which is why we are so excited to offer a five day teen yoga camp from July 27-31. Join Nicole from Blue Mango Children’s Yoga for a week of yoga movements, discussions on anatomy, visualization, journaling, jewelry making, smoothing drinking, art creating, and most importantly, laughing out loud with new friends. This camp is designed for youth aged 10-15. This camp will teach you about body image, safe risk taking, trust in self and one another, strengthening courage, goal planning and the art of dreaming big. 1. Improves concentration: When your child gets used to the physical practice (asana or poses), they automatically improve their concentration skills. Your child learns how to sit still in one place and focus on what’s important as opposed to letting their mind wander and be distracted easily. This will help them at school, concentrate better, and achieve better grades. 2. Increases flexibility and balance: Yoga helps improve flexibility and balance and tones their muscles too. It makes them stronger and less likely to suffer sprains and fractures through accidental falls. 3. Improves general well-being: Kids who practice yoga regularly feel good about themselves and are healthier and happier than those who don’t. They feel both mentally and physically rejuvenated after a yoga session and this improves their mental and physical health. 4. 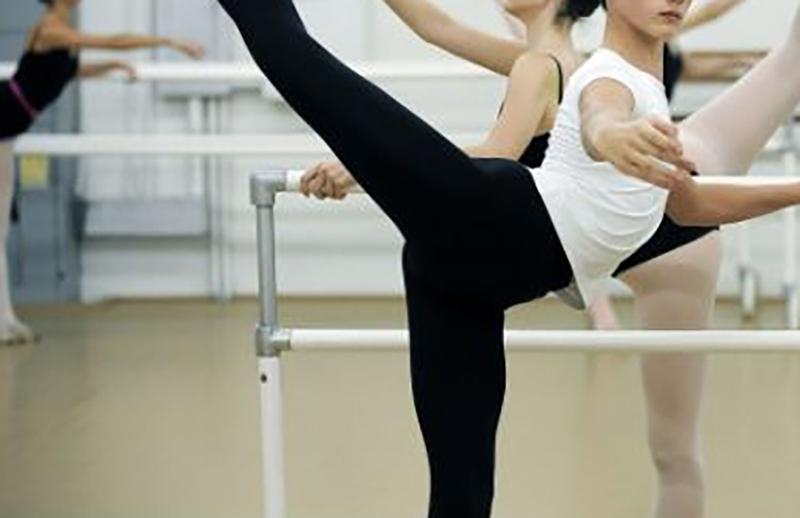 Boosts confidence: When your child is able to display great agility and flexibility, it does wonders for their confidence. Their improved performance at school also helps boost their popularity and their self assurance. They become more poised and start to believe in their abilities. This feeling provides them with the adrenaline they need to achieve success in all their endeavours. 5. Relaxes their minds: Even kids are subject to a great deal of stress these days because of their workload at school and the high expectations that their parents/teachers have for them. They are pushed to be achievers at every single point of their lives, and when they fail, they take it to heart and become depressed. Yoga helps them relax and de-stress when they feel upset or depressed. It soothes their frayed minds and helps them get back to a normal mental state. Kids are more flexible and agile than adults, so the earlier you get kids started on to yoga, the more benefits they gain. Nicole is passionate about teaching yoga to children/teens and cultivating play with in her classes. She has been working with young children in various capacities for ten years. With her extensive knowledge in early childhood development and her passion for yoga, her classes are educational, active, fun and relaxing. Nicole has indepth training with Next Generation Yoga and Yoga In My School and is currently working towards her Registered Children's Yoga Teacher credentials (RCYT). Nicole loves teaching yoga to children as much as she loves learning from her curious students. Yogalife Studios North | Nicole Owczarczyk July 27- July 31: 1:00- 4:00 pm Ages 10-15 $165 for 1 yogi and $300 for 2 Register Here!